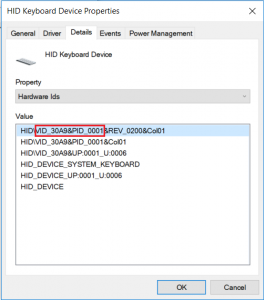 Bluetooth Adapter for Keyboard and Mouse: Compatibility « Handheld Scientific, Inc.
All devices listed on this page (including all mechanical keyboards) will be on display at CES 2020 (Las Vegas, January 7-10) Sands Expo Booth 40568. Be sure to visit us if you attend. 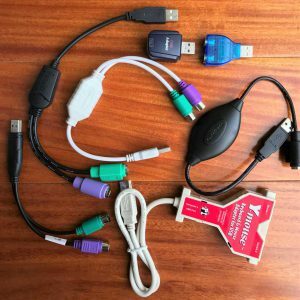 Each USB device is uniquely identified by a Vendor ID (VID) and a Product ID (PID). VIDs are assigned by USB Implementation Forum (usb.org) and PIDs are assigned internally by a company. You can find out the IDs of a product through Device Manager in Windows, as in the following picture. The officially assigned VID of Handheld Scientific is 30A9, and the product ID of BT-500 is 0001. In this page we are going to use VID/PID to uniquely identify each product in concern. Most rubber dome keyboards will work. Those include IBM (Lenovo), Microsoft, Dell, Apple (all models), Belkin, BenQ, BTC, Corair (Raptor), Fellows, GigaWave, Goldtouch, Logitech, Manhattan, SIIT, Skiller, and many others, with or without a built-in hub. The following 2.4G wireless adapters have been tested to work. If the dongle works then all keyboards/mice connected to that dongle will also work. The performance may vary since signal has to travel through two wireless connections. All PS2 to USB adapter we have tested will work, as shown in the following pictures. Below picture shows all the PS2 adapters that we have tested working. 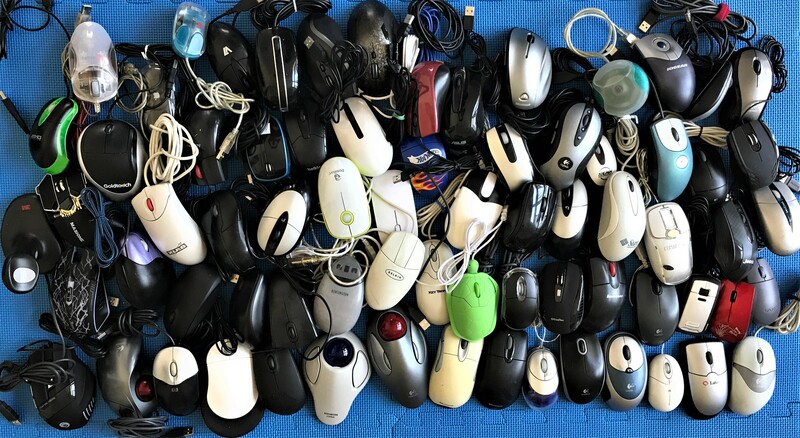 Most mice should work. Too many to list. 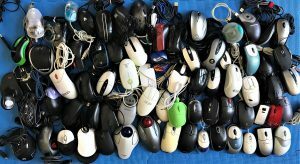 We have more than 100 mice in our lab.